This PDF 1.4 document has been generated by Acrobat PDFMaker 7.0 for Word / Acrobat Distiller 7.0 (Windows), and has been sent on pdf-archive.com on 24/02/2014 at 06:47, from IP address 202.76.x.x. The current document download page has been viewed 2695 times. File size: 839 KB (140 pages). 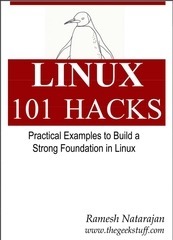 Linux command examples that are easy to follow. the 6 chapters are brand new. manager that runs on Windows, Linux and Mac. Well done - I will recommend this eBook to my students. Download the latest version of the book here. This file has been shared by a user of PDF Archive. Document ID: 00148322.